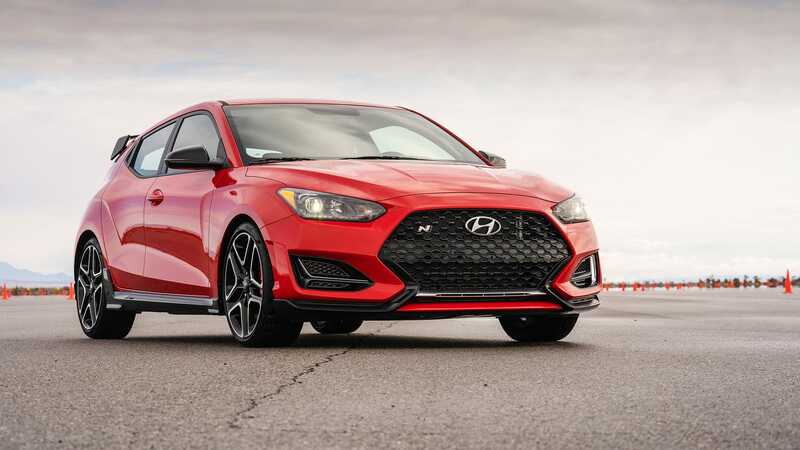 In fairness, the car in question is not just any Hyundai Veloster, but rather the all-new Veloster N. This is Hyundai's first crack at making a serious hot-hatchback that can go toe-to-toe against the Volkswagen GTI or perhaps the now discontinued Focus ST. The Veloster N packs an impressive 250 horsepower and starts at a very reasonable $ 27,820. If you add the Performance Package that includes a limited slip differential, larger wheels, bigger brakes and a power bump to 275 HP that car would set you back just under $ 30,000. It's a good deal. One Alabama Hyundai dealer has their Veloster N listed for a whopping $ 40,730. I'm curious to the buyer profile of someone who wants to drop forty large on a Hyundai when the much faster Golf R can be had at the same price. I gave a call to the sales department at Fayetteville Hyundai to see if the sale price was legit. A salesperson said that it does include a $ 500 loyalty bonus and a $ 500 military rebate and if a customer did not qualify for either one the sale price would be $ 26,645. Even still, with a sticker price of $ 29,920, a discount of $ 3,275 is pretty solid. I'm constantly amazed at some of the dealers who do not quite understand that this thing called the internet exists , and if the price on a local car is too high, chances are another store somewhere else is willing to offer a better deal. It only takes a few clicks to find it after all.